This book explores the emergent and internationally widespread phenomenon of precariousness, specifically in relation to the home. 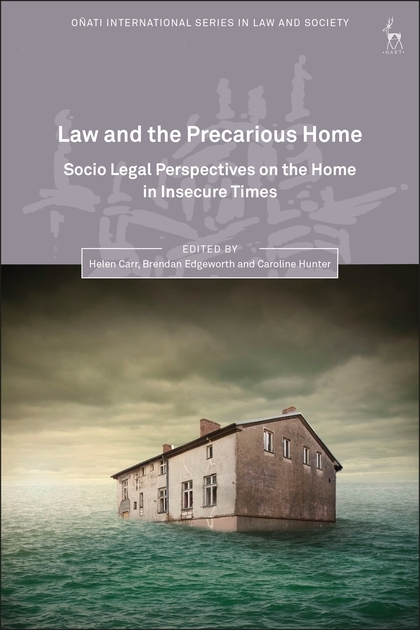 It maps the complex reality of the insecure home by examining the many ways in which precariousness is manifested in legal and social change across a number of otherwise very different jurisdictions. 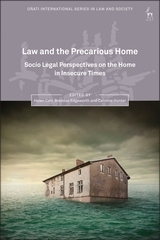 By applying innovative work done by socio-legal scholars in other fields such as labour law and welfare law to the home, Law and the Precarious Home offers a broader theoretical understanding of contemporary 'precarisation' of law and society. It will enable reflections upon differential experience of home dependent upon class, race and gender from a range of local, national and cross-national perspectives. Finally it will explore the pluralisation of ideas of home in subjective experience, social reality and legal form. The answers offered in this book reflect the expertise and standing of the assembled authors who are international leaders in their field, with decades of first-hand practical and intellectual engagement with the area. Helen Carr is Professor of Law at Kent Law School. Brendan Edgeworth is Professor of Law at the University of New South Wales. Caroline Hunter is Professor of Law at York Law School.